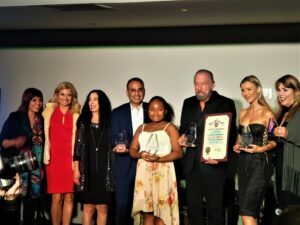 Genesis Butler, vegan activist, and youngest TEDx speaker poses with John Paul, Joanna Krupa, Linda Middlesworth, Ash Kalra, Judie Mancuso, Lisa Bloom, and Jane Velez-Mitchell. #JaneUnChained #LIVE at Social Compassion In Legislation’s 2019 kickoff! 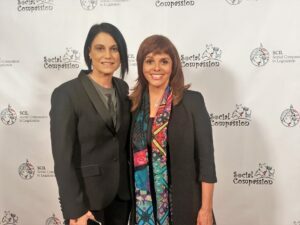 This group, with teamwork from Physicians Committee for Responsible Medicine, was behind the amazing Cruelty-Free Cosmetics Act and has big plans to stop animal abuse in 2019! This past year they also passed another bill that requires vegan options in hospitals and prisons. 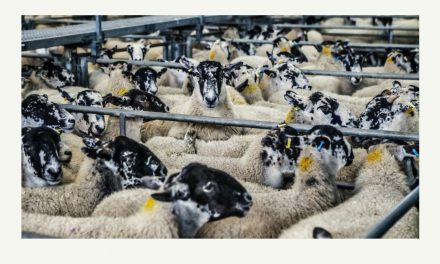 They are introducing 12 new bills to promote animal rights and world change. Gianna Simone graciously poses for pictures with SCIL signs. 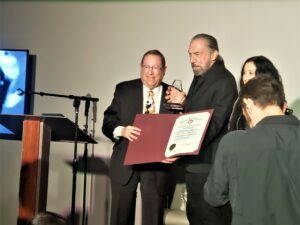 LA City Councilman Paul Koretz does the honor of handing John Paul Dejoria his award. 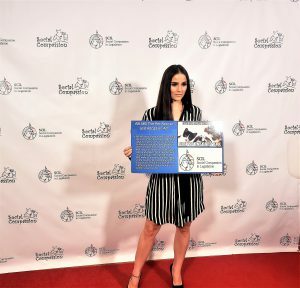 #JaneUnChained #LIVE at Social Compassion In Legislation’s 2019 charity gala. 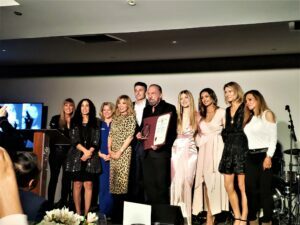 Watch as Jane interviews John Paul DeJoria of John Paul Mitchell Systems and he explains why he support The Social Compassion in Legislation nonprofit organization. Jane is wearing several Paul Mitchell products in her hair because their company does not support animal testing and they never have! 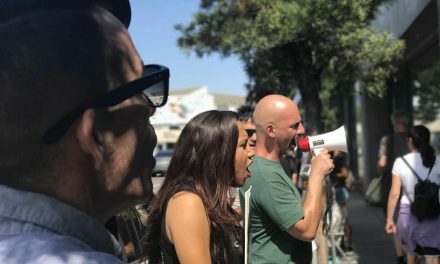 The Paul Mitchell brand has stuck to their ethics no matter the adversity they have faced. John Paul DeJoria supports Social Compassion because they save the lives of countless animals. John Paul DeJoria also works with Captain Paul Watson and The Sea Shepherd Conservation Society to help save our oceans. Simone Reyes further explains that John Paul DeJoria is a self-made millionaire who even had bouts of homelessness while he was working hard to fulfill his dreams. Paul Mitchell has never condoned animal testing and never will because of determined compassionate people like him. Thank you for always taking a stand against cruelty John Paul DeJoria! The SCIL board members and honorees pose for a group pic. After the ceremony Jane, Judie Mancuso, and Simone Reyes hit the dance floor as the band plays! 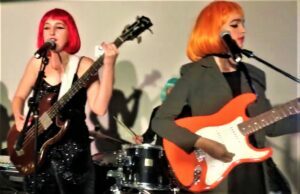 #JaneUnChained live with vegan actress/animal lover Harley Quinn Smith and her band, The Tenth, at the Social Compassion In Legislation 2019 kickoff event in West Hollywood, California. The mission: to pass laws to end animal abuse! Harley is a huge animal rights activist and her father director Kevin Smith is now vegan too! 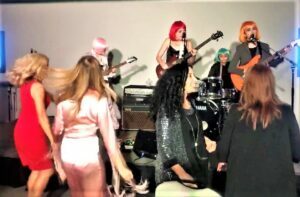 Dancing the night away with Simone Reyes, Lisa Bloom, Donna Dennison, Linda Middlesworth and Renée Marinkovich. Check out the interview with vegan veterinarian Dr. Armaiti May. Donna and Jane hit the red carpet for a photo. PreviousRescue + Freedom Project Brings Dog Meat Survivors to Safety! NextEWEE! Eat What Elephants Eat with Dom Thompson! It's finally happening. 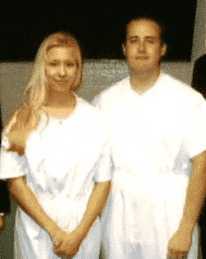 The jury has just begun deliberating in the Jodi Arias case. Will she live or die? 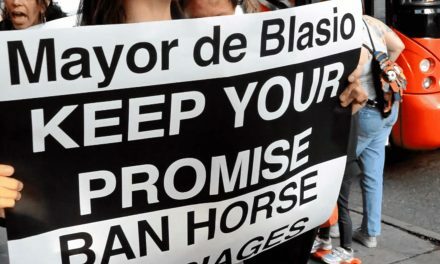 MESSAGE TO BIG APPLE'S MAYOR: STOP HORSING AROUND!!! WATCH THE VIDEO!